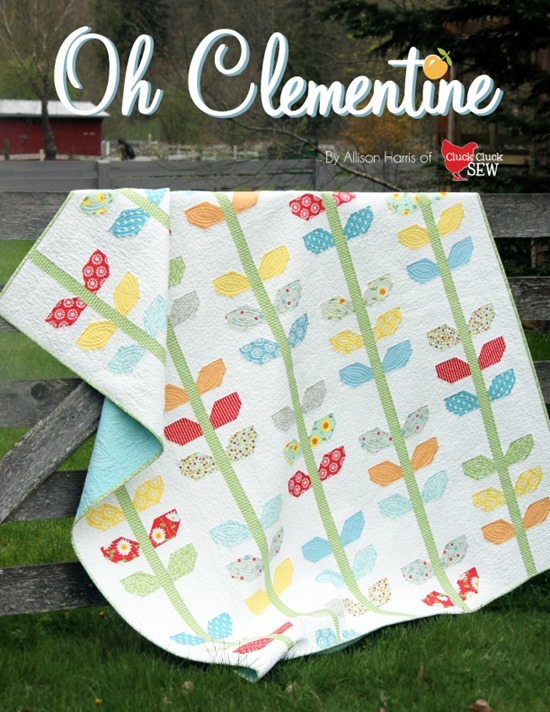 Oh Clementine is in stores! I swear quilt market was last week and I had a whole summer to wait before it shipped…and then I blinked and it was September. To see more of this collection you can visit my previous post here. Or you can see the Lookbook for this line here with the projects in it. You can find it (or ask for it!) in you local quilt shops or at Westwood Acres (in ready to go F8, FQ, or Half Yard Bundles), or Fat Quarter Shop. It just barely shipped so it should start popping up in stores this week! 30 Responses to It’s here! Congratulations Alison! It's beautiful, so sweet! Congrats Allison, It's a Beautiful Collection!! The summer flew by didn't it?? Will be short and sweet. lOVE your new fabric! Congratulations! So exciting!!!! I so have that beautiful Morning Glory quilt on my to do list. Stunning!! What a beautiful, fun new line! I love it! Congrats! 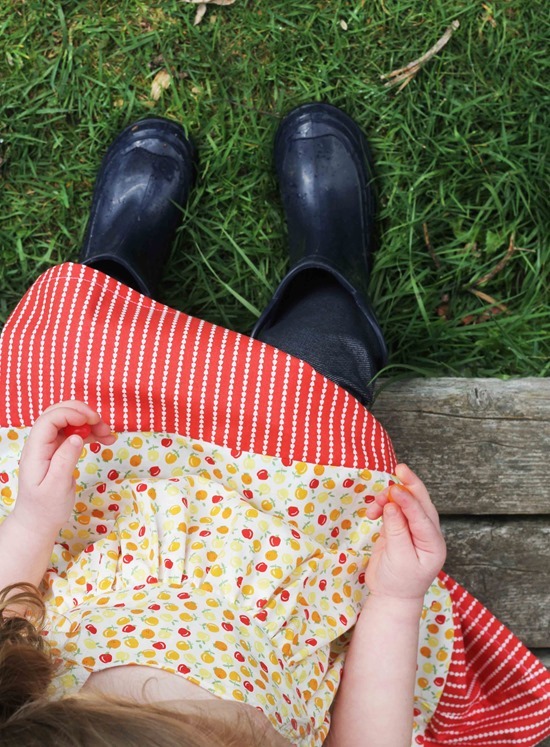 That is seriously cute fabric! Congratulations! It's a sweet collection. I especially love the name because it's my grandmother's middle name and her grandmother's first name but pronounced like teen. Great fabric Allison!, good work! Love your collection, I will check it out on FQS. Yay! It really is lovely! I hope to add some to my stash. Congratulations! It's a beautiful line. I have some on the way and can't wait for it to arrive! Hawthorne Threads is carrying it and as soon as I received notice it was in, I ordered it. Very pretty collection. I love the colors and sunny, happy prints are my favorites. That little dress looks very cute on that little doll of your. It is so pretty, congratulations! Congrats!! Just beautiful- love it!! So happy for you! I love it! 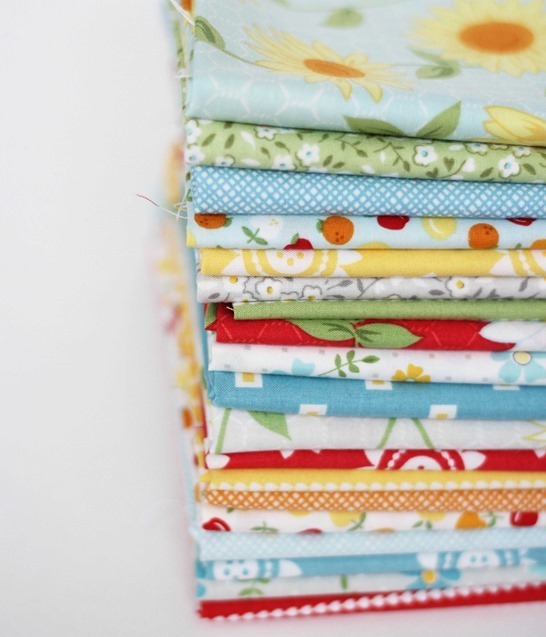 I love your new fabric line…just bought the entire FQ bundle! 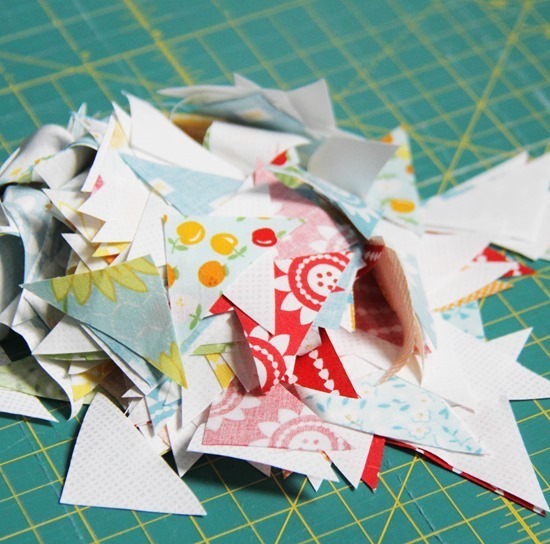 Can't wait to make something adorable with it! Love the colors, its such a bright and cheery line. I can't wait to work with it! I love it! I picked some up from Hawthorne threads a few days ago and think it will arrive today. I got a whole yard of the seed stripe in red, too. I think it will make a beautiful binding:). I love them all. I've never seen a collection before that I loved every color or design, but this one takes the cake!! Of course I lean toward all the traditional patterns and designs. I have some of my grandmother's quilts that are over 80 years old.